There’s one member at CFTY that I can safely say is comparable to a superhero. If you passed her on the street or at the grocery store, you might underestimate her strength. 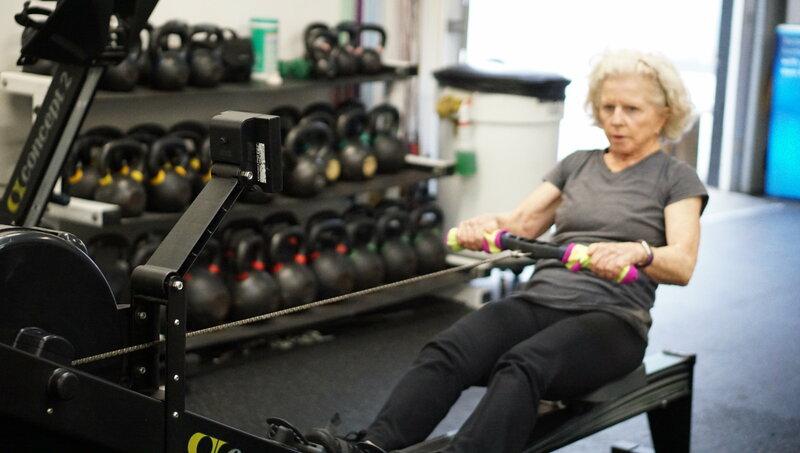 Kathy, our July Featured Member, inadvertently gives the rest of us no excuse. Every time she comes to class, she is a shining example of #goals! Being a mother of 3 very active kids, they kept her (in her words) healthy…ish while they were growing up. Fitness fads like Jane Fonda tapes and Jazzercise made their way in and out, but it wasn’t until she discovered Yoga in the early 90’s that she found something that she really stuck with. She has continued to practice and teach various styles since, and even now will still teach a couple classes a week at the YMCA. It was her daughter Elizabeth that introduced her to CrossFit in 2009. It took a while for her to finally give it a shot, but she did! This yogi was now doing burpees, med ball cleans, and even flipping tires! In addition to the supportive coaching, she credits the members, their kids, their dogs, and the community gatherings like our potlucks that keep her with it. Keep going, Kathy! You inspire us every time you show up!